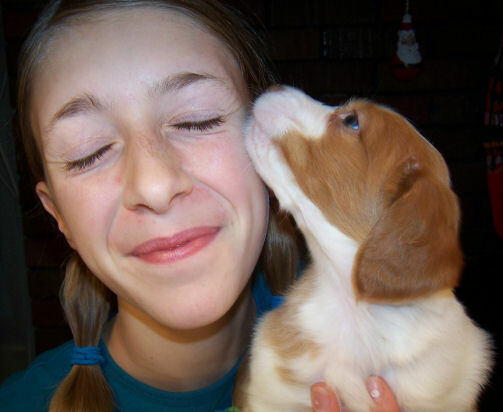 Tentatively Co-Owned by 3 parties: Us here in Montana, Ellie in Idaho and Tania in Texas. 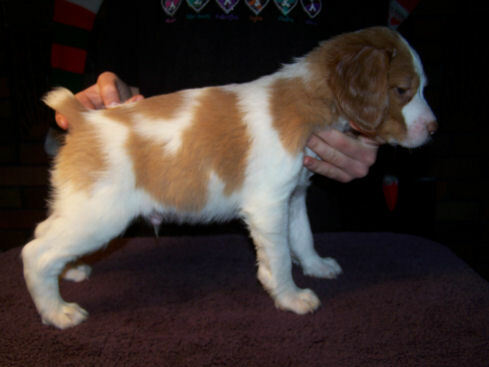 Clove: Male, 7 wks, 1/14/07, weight: 3850g. 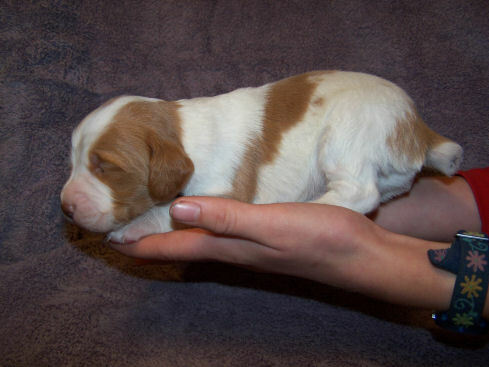 Clove: Male, 6 wks, 1/7/07, weight: 2960g. 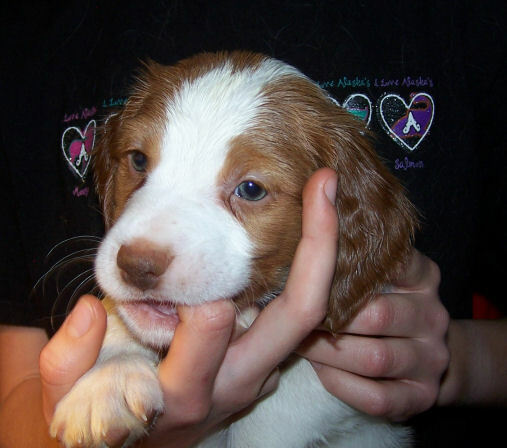 Clove, Day 35, giving Sari a good lick! 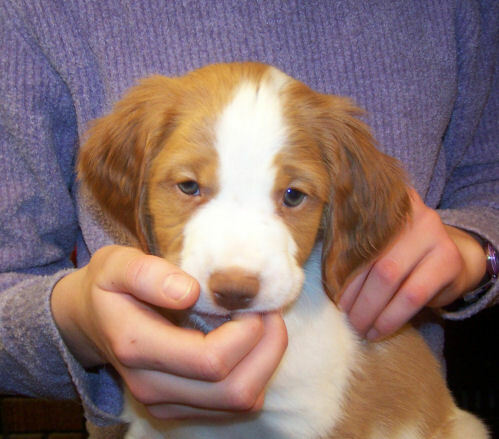 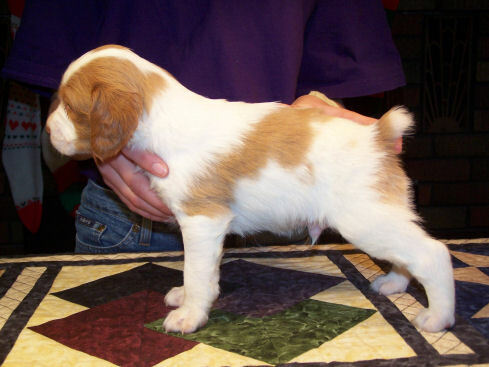 Clove: Male, 5 wks, 12/31/06, weight: 1980g. 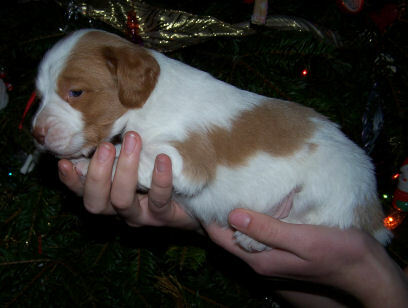 Clove: Male, 4 wks, 12/24/06, weight: 1560g. 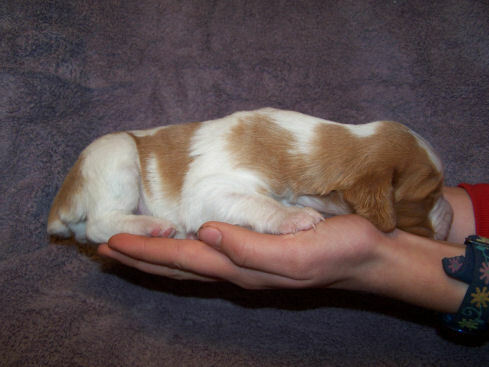 The pups are a little young to stand/stack well. 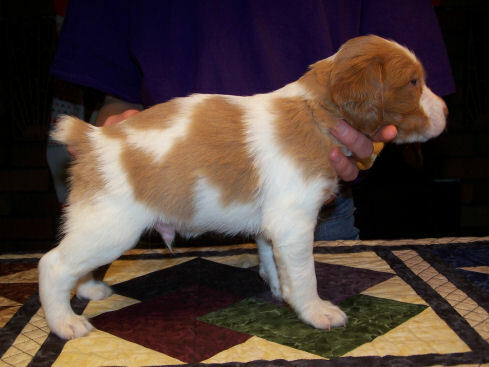 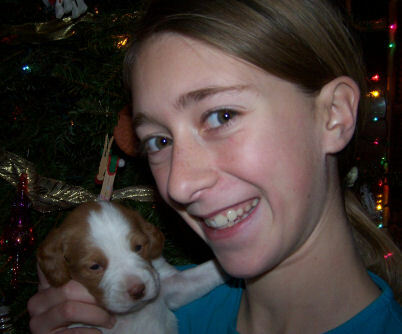 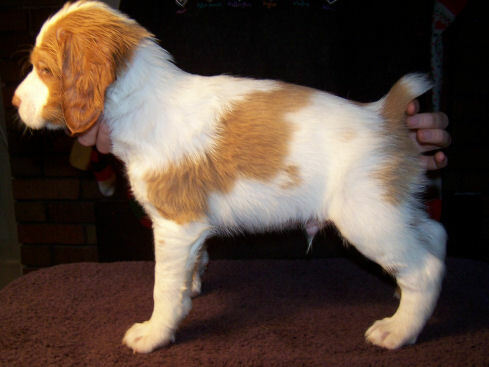 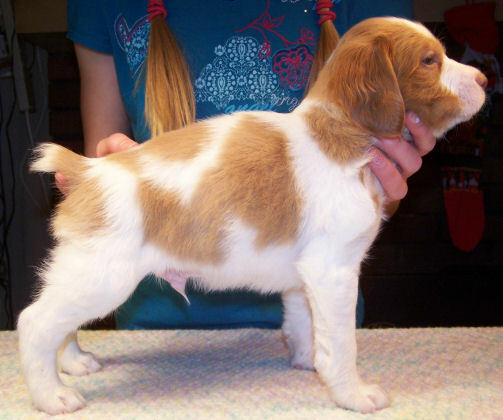 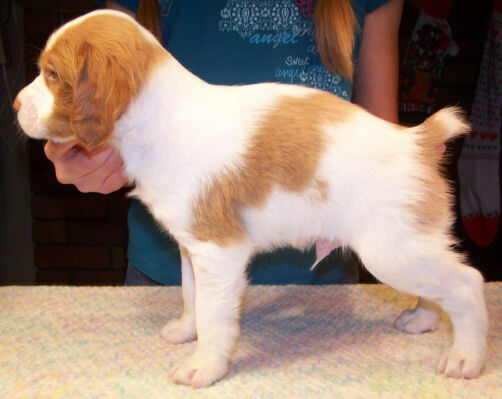 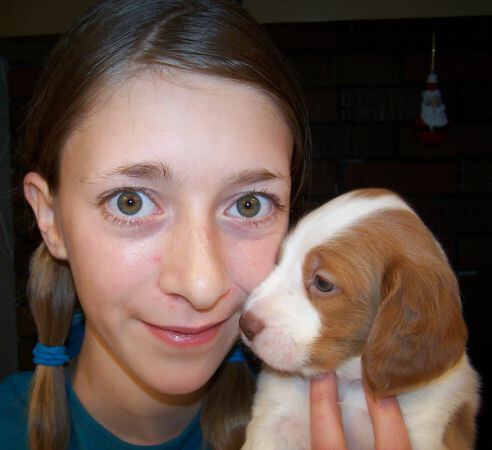 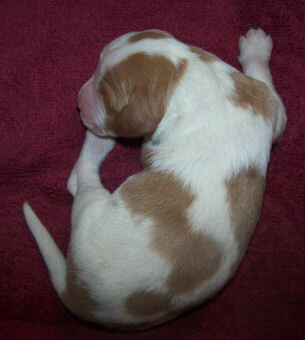 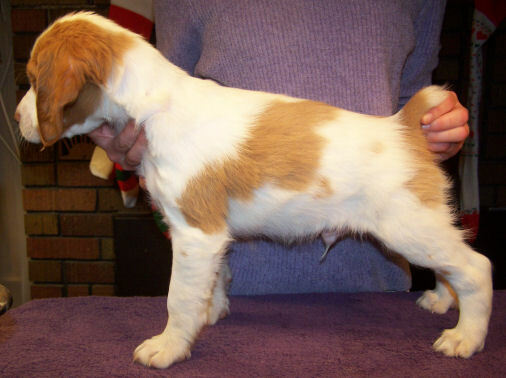 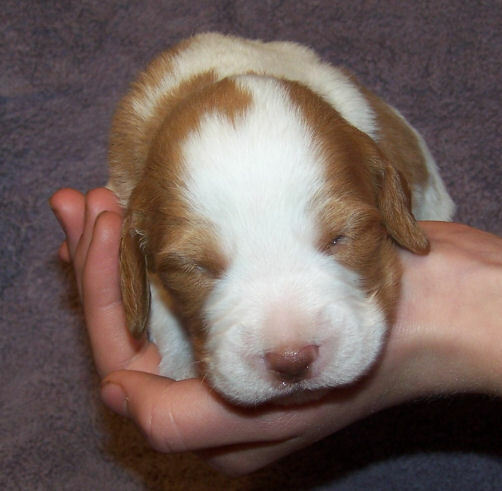 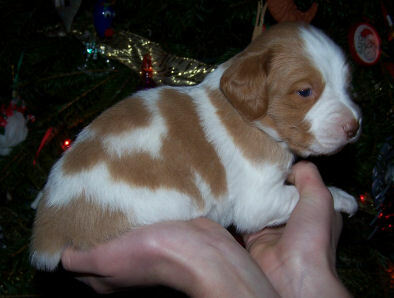 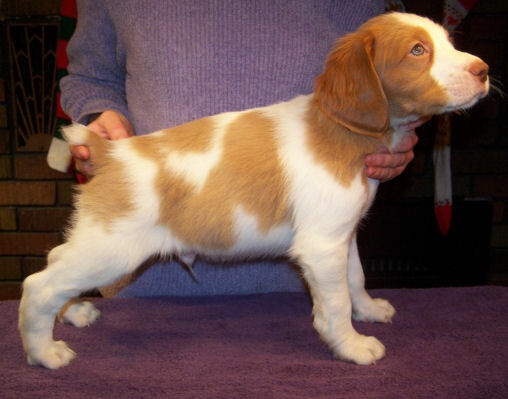 Clove: Male, General Information: Whelped: 11-26-06, Birth weight 320g, 2nd born puppy.